You guys need to teach us this game! I appreciate the more balance approach to your blogging - no doubt it has something to do with your new assistant blogger. 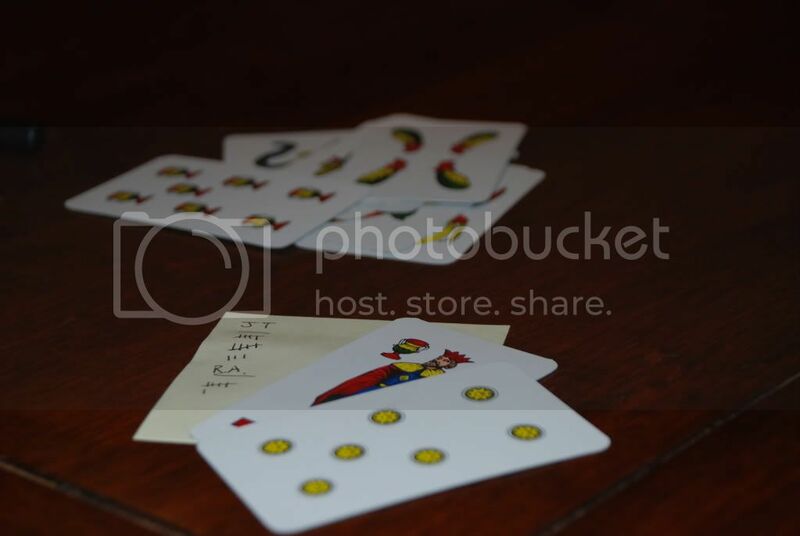 SCOPA! "Just for the record".... I am now addicted to this game, I mean, addicted... Online, check... iPhone app (iScopa), check... it's bad! Where in the world did you buy your cards?